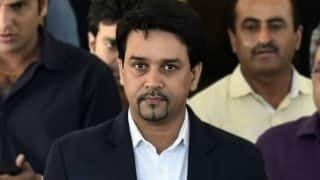 Anurag Thakur is an Indian politician and the current Member of Parliament in the 16th Lok Sabha representing the Hamirpur Constituency of Himachal Pradesh. 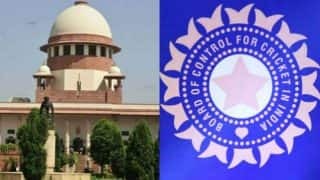 A member of the Bharatiya Janata Party (BJP), he is the current President of the Board of Control for Cricket in India (BCCI) and got elected to the post in May 2016. He was commissioned as an Officer in the territorial army on 29th July 2016 and he became the first serving BJP Parliamentarian to become an officer. He has been elected to the Lok Sabha for the third time and also has been a part of the 14th and 15th Lok Sabha. 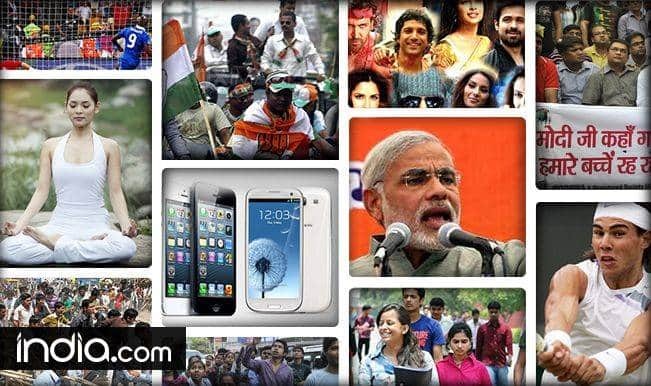 In 2010, he was appointed as the President of the Bharatiya Janata Yuva Morcha (BJYM) and was re-appointed as the President of BJYM for the third term in 2014. He has been recognized as a "Young Global Leader 2014" by the World Economic Forum and has also featured in the Financial Times’ '25 Indians to watch' list. 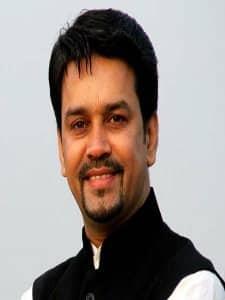 Born on 24th October 1974 at Hamirpur, Himachal Pradesh, Anurag was born to Prem Kumar Dhumal and Sheela Devi. His father Prem Kumar Dhumal was also associated with politics and a member of the BJP and the 12th Chief Minister of Himachal Pradesh. Anurag completed his schooling from the Dayanand Model School and later completed his graduation in BA from the Doaba College in Jalandhar. Anurag since his childhood had interest in cricket and he has been a part of many cricket matches. He was a member of the Guru Nanak Dev University team that won All India Championship, Punjab Under-19 cricket team, and Under-19 cricket team that played against England team at Delhi and Patiala. He also had the leadership qualities since childhood and has led the cricket teams in many tournaments. 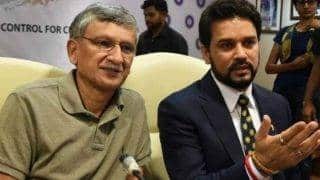 He has captained the North Zone U-19 Cricket team and has also been the captain of the Punjab U-16 cricket team in the Vijay Merchant Trophy. He made his entry in politics in 2008 and was selected as the Member of Parliament in the 14th Lok Sabha succeeding his father in a by-election from the Hamirpur constituency. Later in the 15th Lok Sabha elections held in 2009, he was again elected from the Hamirpur constituency and he got re-elected in the 16th Lok Sabha elections with a record win margin in 2014. As a Member of Parliament, he is responsible for the Public Accounts Committee, Member of the Parliamentary Consultative Committee for Power and is also the Parliamentary Party Spokesperson for BJP in the Lok Sabha. 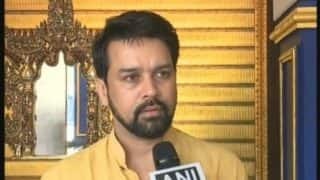 In 2010, he was also appointed as the President of BJYM and he played a vital role in leading a march from Kolkata to Lal Chowk in Sri Nagar under the banner 'Rashtriya Ekta Yatra' to unfurl the National Flag at Lal Chowk in Sri Nagar. 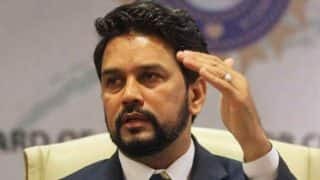 Anurag Thakur also holds many positions in the sport of cricket and he currently holds the position of President in BCCI. 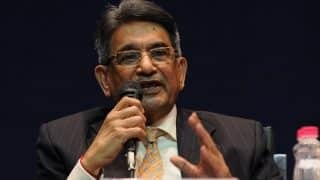 Apart from BCCI, he also holds other positions in domestic cricket and he is the President of the Himachal Pradesh Cricket Association, President of the Himachal Pradesh Olympic Association, Vice President of the Indian Olympic Association, Vice President of Hockey India, Secretary General of the Hockey Himachal Pradesh and Executive Member of the Asian Cricket Council. 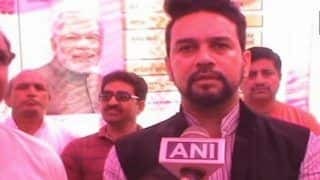 Anurag Thakur is married to Shefali Thakur. Shefali Thakur is the daughter of Gulab Singh Thakur, the former Public Works Department (PWD) minister of Himachal Pradesh. The couple has two children. 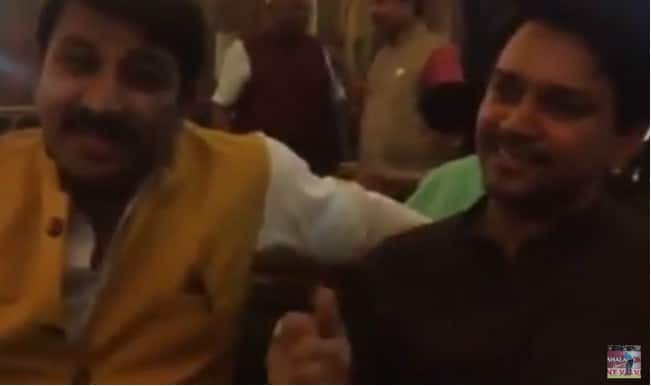 In July 2016, Thakur became a part of the Territorial Army and he became the first serving BJP MP to become a regular commissioned officer in the Territorial Army. He is also the Founder of the Honour Our Women Foundation - the foundation works for creating social awareness about women issues related to safety and empowerment through seminars and street plays. 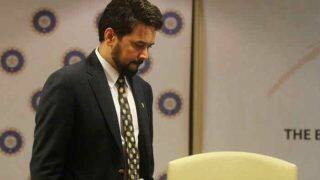 In the sport of cricket, he is credited for building an International Level Cricket Stadium in Dharmashala. His political career is functioning smoothly and as of October 2016, his attendance in the Parliament has been 85 percent and he has participated in 72 debates, the highest among the young Member of Parliament. In a recent survey of CNN-IBN and IBN 7, he was rated 7.66/10 for the grass-root performance as a grass-root social reformer. He was also mentioned in the India Today magazine as one of the "Navratna's of Narendra Modi".